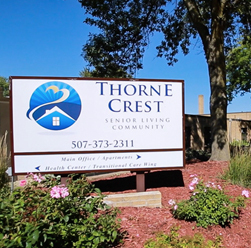 Thorne Crest Rehabilitation Services: Where Your Goal is Our Goal. At Thorne Crest, we offer a complete range of senior care services and rehabilitation programs that include physical, occupational and speech therapy. Our staff of professional therapists works closely with you, your family and your physician to create customized rehab plans that are tailored to your individual needs. The primary focus of our senior rehabilitation program is to help residents return to their optimum level of function and restore and maintain their independence, all in a home-like environment. Physical Therapy – Physical therapy for seniors concentrates on decreasing residents’ pain and improving strength, endurance, and range of motion. 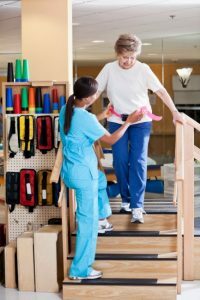 Occupational Therapy – Throughout the course of occupational therapy, residents become more self-sufficient by learning new ways to perform life tasks (like preparing breakfast or getting dressed) while protecting their muscles and joints. Speech-Language Therapy – Speech therapists evaluate and help residents develop skills to manage changes related to hearing, communication, comprehension, oral motor skills, swallowing and strategies for safe eating. Our 9-person transitional care center offers an intimate and comfortable setting where residents receive the one-to-one attention necessary to facilitate a rapid recovery. The rehabilitation area of our community is conveniently located on the first floor and offers all private rooms, with relaxing living and dining areas. Whatever your circumstances, our comprehensive rehabilitative services care team will work closely with you and your physician to develop a short-term transitional care plan that will get you stronger—and get you home—as quickly as possible. In our senior rehabilitation center, we understand each person’s needs are unique. Therefore, we create individualized treatment plans based on physical limitations, abilities and goals for recovery in tandem with recommendations from your personal physician. These plans utilize a multi-disciplinary care team approach to resident care where experts are selected based on the resident’s needs and plan goals. To learn more about rehabilitation therapy at Thorne Crest, please contact us today. Or, view a fly-thru video tour of our community. 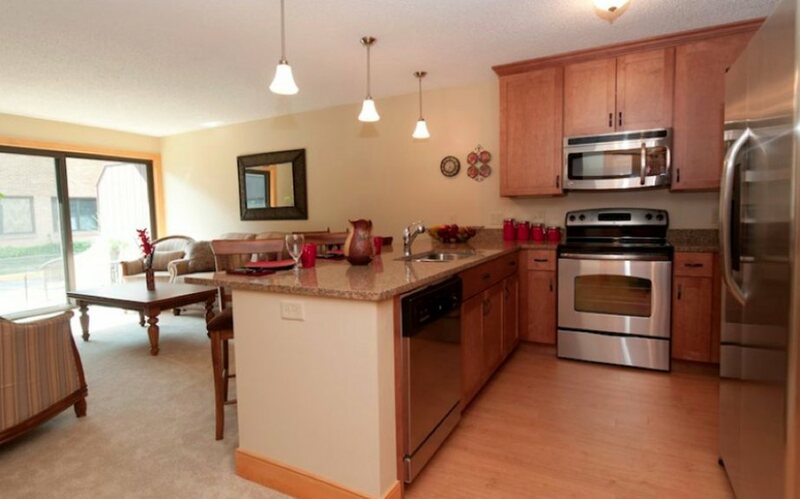 Click here to schedule a tour online – or call 507-373-2311 to set up an appointment.